Michael Paul Callahan is an Ultimate Top Ranked in the northeast Elvis. A Hollywood movie actor, Broadway musicals like Grease as "Teen Angel", actor/model, National Gospel Recording Artist. 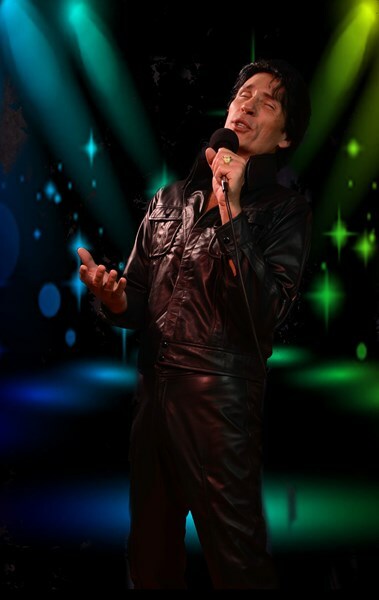 Selective in choice of gigs, an Elvis Tribute Artist for 3 years now. In just 3 years performing at #1 Elvis Festivals by invitation. Will consider every request, this Elvis looks, sounds, moves, dances, a black belt in Tae Kwon Do, the real deal. 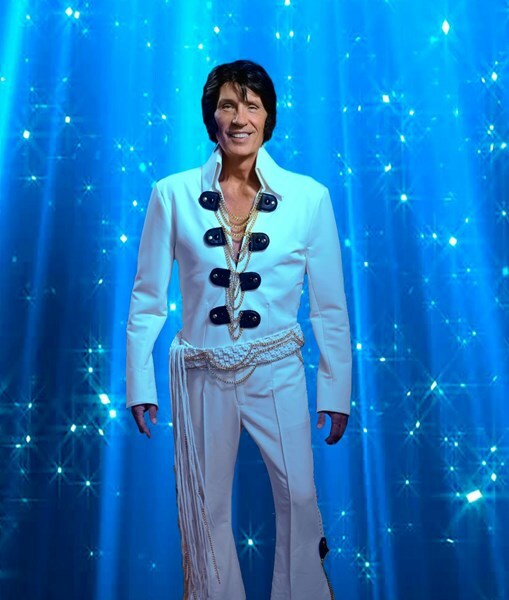 Most of the other Tribute Artists look nothing like Elvis. NEW!! World renown Syracuse University (SU) filmed and published a documentary on Michael Paul as Elvis. SU Published January 2019. Michael Paul was invited and performed at the "Ultimate Elvis" Festival May 30 - June 3, 2018 at Lake George, NY and will perform at the 2019 Lake George, NY Ultimate and Flaming Star in Toronto Festivals in the PRO category and for Gospel Sunday. This is the #1 Elvis Tribute Artist event in the world. Only a select few are chosen to participate in this world-wide reaching Festivals. Contestants selected are from i.e. the USA, Canada, England, , Germany, Brazil and Japan. Michael Paul is Elvis, tailoring each concert and event to the needs of each particular audience, cause, benefit and organization. Songs, Elvis moves including karate as a Black Belt. Elvis 1960-1973 time period especially, with over $50,000 in wardrobe and accessories for a top shelf one of a kind performance. Wardrobe changes when possible for effect. Special Cameo Appearances are offered, parades, conventions as a solo entertainer, as a celebrity or with a full band. Can also provide a Legend to open when requested. Michael Paul is also the owner of A Time for Legends™, an east coast version of Vegas' longest running Legend show. Performances are based on your needs. Concerts, festivals, TV, Parades, conventions, casinos and more. Elvis show, also Gospel Concerts as Elvis or Michael Paul are very popular as well. Special Attraction- Can meet with the audience after the show at a concession table, where custom scarfs can be offered to the ladies as a souvenir to highlight your event. Also pose for photos, people LOVE a photo and scarf. Actor: Hollywood movies "Odd Man Rush"- February 2019 a hockey coach. "Sid is Dead" as a doctor Fall 2018. "Clean" a lawyer with Adrian Brody December 2018. Hollywood TV series role May 2018 "Tarot", Hollywood movie April 2018 "Looks That Kill", November 2017 a role in a Hollywood movie "The Mountain" with notable stars like Jeff Goldblum. Starred with leading roles in several movie film projects including "Stolen," "COUNTER," "The Businessman," and "Venus Man Trap." Many plays and musicals over the years as a lead actor, singer including "Teen Angel" for GREASE in Summer of 2017. Michael Paul is a Christian Contemporary Music (CCM) recording artist for many years, opening for top-name Grammy & Dove Award winning performers such as Amy Grant, Larnelle Harris, David Meece, Mike Warnke and many more. Additionally sponsoring concerts all over NY for world renown artist's including Petra, Twila Paris, Whiteheart, DeGarmo & Key, Phil Keaggy, Don Francisco "He's Alive", David & the Giants, The Imperials, Sheila Walsh, Steve Camp, and more. Performances for Michael Paul included 500-10,000 seat Halls like The Landmark Theater in Syracuse, NY, The Forum in Binghamton, NY, State Fairgrounds, churches, schools, colleges and many more. Michael Paul had a weekly TV show for years supported by all CCM Record companies, and hosted a weekly two-hour CCM radio show on a #1 FM country station. In Binghamton, he founded the annual "First Night" New Year's Eve family celebration, an annual dinner for the needy on Easter Day, and monthly Youth Skate Nights. Michael really helped us out and we will definitely use him again. He also was very nice to work with. 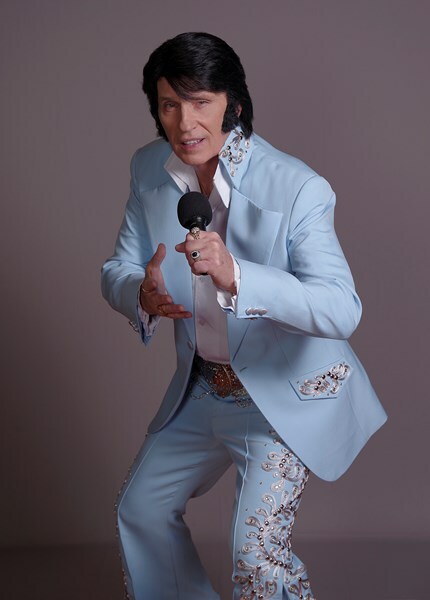 Please note Elvis Tribute Artist - Michael Paul Callahan will also travel to Minetto, Lycoming, Hannibal, New Haven, Fulton, Sterling, Fair Haven, Mexico, Martville, Cato, Maple View, Phoenix, Red Creek, Hastings, Meridian, Pulaski, Parish, Pennellville, Plainville, Baldwinsville.